Improve the cat-human relationship in your home so that it is more fun – for both of you. 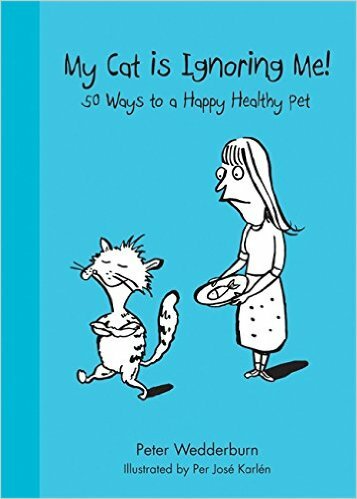 This volume contains fifty ways to make sure that you are giving your cat the best possible lifestyle, and includes tips on making cats a little more appreciative of their human companions. Cats are very different to human-loving, owner-pleasing dogs. They are independent creatures who seem to do their own thing. In cat-lovers politically correct jargon, cats don’t even have owners: they have “guardians” with whom they choose to share a home. Yet many people adore their cats, and want to do their best for their feline friends. Cats can come across as under-appreciative of their human consorts, and many people wonder if they could do more to make their cats reciprocate with a little more affection and attention. Are there any “tricks of the trade” that could help to make an aloof, arrogant feline into a cuddly, affectionate cat? If your cat is already a people-loving puss, you may still wonder if you are catering properly to her needs. How can you be sure that you are allowing her to live the healthiest and happiest way of life? There are numerous information sources dedicated to cat care, but cat owners often have simple questions that remain unanswered. This book aims to resolve some of those queries, with uncomplicated, practical advice.